Microsoft kicked off its E3 presentation with the announcement of a new Halo game, and since the company only has one other series on a similar level as that one, it meant there was a very good chance we’d be seeing Gears Of War by the time the show wrapped up. Sure enough, near the end of the presentation, we got something that fans of ripping apart mutant monsters with chainsaw-guns were dying to see: the Gears Of War logo. The crowd erupted in cheers, only for every last person in attendance to fall completely silent as a Funko Pop version of series star Marcus Fenix broke through a wall with some Funko friends and got attacked by some Funko monsters. This wasn’t Gears Of War 5, but some kind of mobile spin-off game called Gears Pop. We didn’t get any more information about that game, possibly because Microsoft knew that people were going to start throwing things, but the fun didn’t stop there. Microsoft then announced Gears Of War Tactics, a real-time strategy game that looks like XCOM but in the Gears Of War universe. It’s still not Gears Of War 5, but it’s at least closer to the real thing. 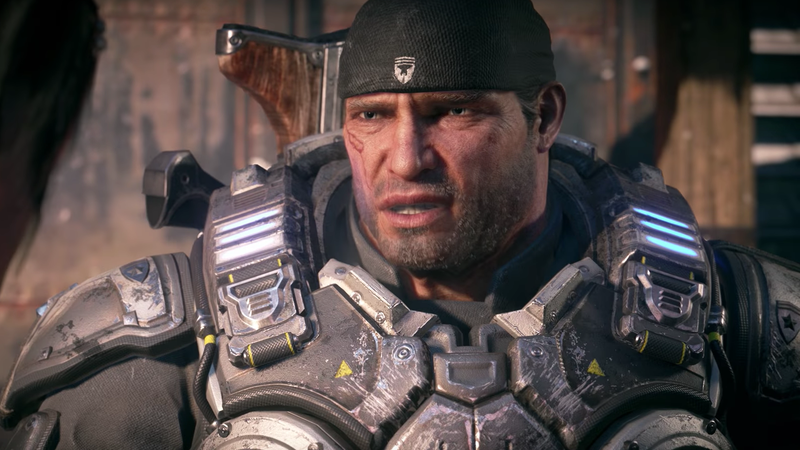 By the time Microsoft did announce Gears Of War 5, it almost seemed anticlimactic. Rather than a cinematic tease, like what we got for Halo Infinite, this trailer just tossed us right in for some drama between the burly protagonists of the Gears games. Some underground mutant monsters got smashed and blown away with big guns, but it all seemed to be missing the big-headed thrills of those Funko Pop figurines that someone out there must really enjoy collecting. At least now we’ll have a Gears game for every kind of person, both pro-Funko and anti-Funko.